DENVER — Peyton Manning has hired former White House Press Secretary Ari Fleischer after a report surfaced this weekend saying the star quarterback used human growth hormone during his record-breaking career. The NFL Network’s Ian Rapoport and other journalists have reported that Manning has hired Fleischer, the first press secretary for former President George W. Bush. Fleischer is the principal of Ari Fleischer Sports Communications, which has worked with the NFL and Major League Baseball. Fleischer spoke to media outlets on behalf of Manning on Saturday night denying the report. He told the Denver Post, "There’s no truth to it. … What they have is a well-known con man from England who secretly recorded a former intern." Manning has also spoken with media outlets and issued a statement denying the contents of the report. Al Jazeera’s investigative unit posted the video report on Saturday night after a months-long investigation. As part of its information-gathering process, a British hurdler went undercover to obtain performance-enhancing drugs. The report claimed that a medical clinic supplied Manning with drugs banned by the NFL as he missed the 2011 season due to neck surgery, and that substances were mailed to Manning’s wife so he could avoid suspicion. The Huffington Post aggregated the Al Jazeera story in the lead spot on its website on Saturday night. Football news site Pro Football Talk tweeted Sunday morning that Fleischer’s hire will only bring more negative attention to Manning and cast doubt on the former press secretary’s statements on the matter. Rule No. 1 of a running a P.R. firm: When hired by a high-profile client, the head of the firm's name should not be trending on Twitter. Ari Fleischer's claim that Peyton Manning never failed a drug test overlooks the fact that, in 2011, there was no HGH test in the NFL. 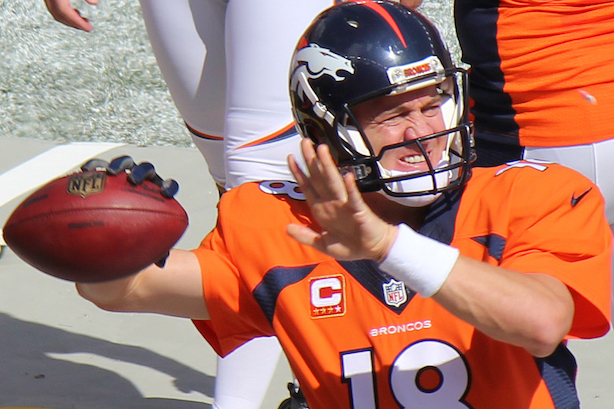 As Manning has penciled his name into the NFL’s record books — he holds many of the league’s all-time passing records — he has also become one of the most prolific celebrity spokesmen in the US. He made $12 million, tops among pro football players, this year from off-the-field endorsements, and is a pitchman for brands including Papa John’s, Buick, and DirecTV. Who real-timed #DeflateGate best ... Krispy Kreme or Charmin?